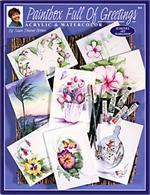 WATERCOLOR & ACRYLIC BOOK. Exquisite designs with attention is paid to details and enhancements are features in Paint Box Full of Greetings which is the book that is featured on the PBS series Scheewe Art Workshop. 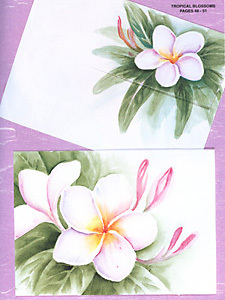 This is such a personal way to send special greetings to friends and family, especially as they are painted by you to send. Youll find special holiday and party invitations that can be done with these designs. 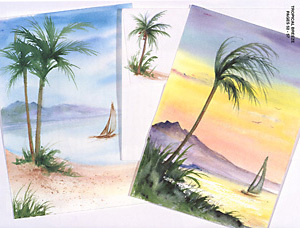 Paint beautiful holiday cards for Valentines, Easter, Mothers Day, Halloween, and Thanksgiving. There are lovely tropical, spring and summer flowers to paint. 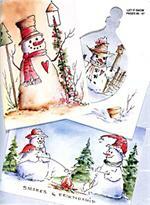 Create your own Christmas cards with the delightful snowmen or holly and berry designs. What a great way to have all the family participate in sending holiday greetings. Turn your vacation at the seashore into a painting holiday, youll be surprised at the great number of seascapes you can create. 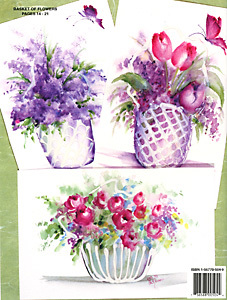 Susans step by step instructions, detailed patterns and the photographs for the cards will encourage the beginner to paint a special greeting and enjoy using watercolors or acrylic. 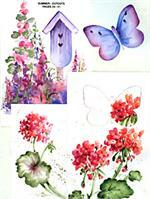 Each one of the designs can be done as a larger painting after you have done the cards, broadening your skills. 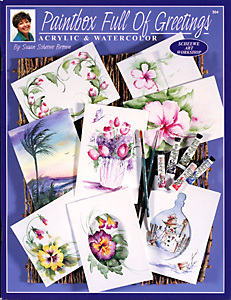 There is a video set for this series which is a great and is like having your own teacher paint along with you.